This one to be specific! 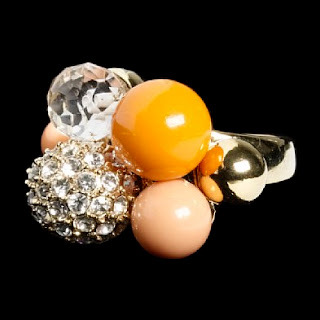 This cocktail ring from JCrew is to DIE for. And moderately priced to boot. Yes please. 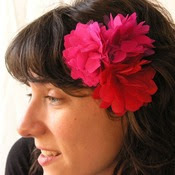 I am loving these sweet floral adornments from handle & spout. 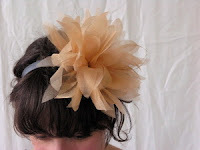 The headband is whimsical and airy and the clips are sweet pops of color. They are fairly priced and a fun way to dress up a casual outfit. 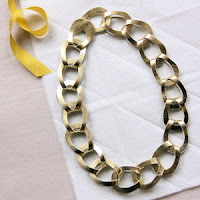 Love their necklaces too – so simple and understated. 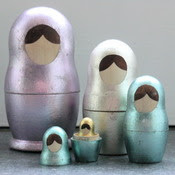 And who doesn’t love matryoshka dolls?! Even as the economy spirals out of control and the media industry continues to lose big players, I’ve been thinking more and more about what life could be like in New York City. I’ve never been and don’t know if I could stand to up and leave my family and friends. And I live in a pretty amazing city already. But NYC does seem like the center of the world sometimes, doesn’t it? 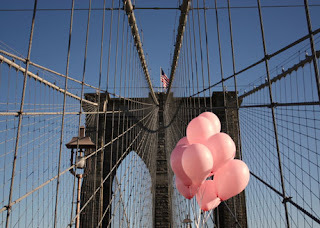 Adorable photo of the Brooklyn bridge from this sweet story. You can bet that I will be attending this amazing event tomorrow in Dolores Park! I love Dolores Park, I love cheese and I love sandwiches. What a great day it will be. LOVE this ring that Nicole posted about. Love that she found a cheaper option!